I was recently looking to purchase a book for my Advanced Greek Grammar seminar this semester: Evan’s Verbal Syntax in the Greek Pentateuch. After finding it for $310! on Amazon, I checked around a bit. Eisenbrauns listed it for around $85, so I purchased immediately (as if I had found a bargain…what?!). Prior to shipping, I was informed Oxford had been raising prices on quite a number of titles. Looks like I’ll stick to the library for this one. This brings up a question (and I doubt I’m the first to ask it): Why is the cost of attaining the ‘best’ of biblical scholarship so high? Where will my $300 go if I purchased the title? I understand the book is highly specialized, but why the incredible price hike? Update: Jim West and James Spinti have responded on their blogs in addition to commenting below. Oxford has been ridiculous lately. Not only are the prices going up, but everything is coming in POD (print on demand), which means that it is perfect bound. No more nicely sown signatures and high quality books like they used to do. Even their DJD series is now POD! And, lest you think Eisenbrauns is taking a huge profit, they have actually lowered our discount! We pay a higher percentage than we used to for a lower quality book, and they raise the price as well! Arghh! Venting excused! And to be clear, I have frequently found Eisenbrauns to have the best prices on the books I need. My only concern is that the ‘deal of the day’ bargains are sometimes too enticing! So is Oxford just pocketing extra profit? As the economy and the book market shrink, publishers are taking various approaches. Some, such as Brill, de Gruyter, Oxford, and a few others, are pricing their books for the library market, which means high prices. Others, such as Eisenbrauns, are continuing to price the books for the average scholar. One approach hopes to make a profit on low volume, higher prices. The other model is based on a higher volume, lower price per piece approach. For sure, but I would think that printing on demand with cheaper covers/bindings wouldn’t necessitate quite the percentage of increase in price! Nobody wants good books. Low demand. Which reminds me: Nobody wants the truth. Low demand. I have a little dictum that seems to hold: If it is popular, it is probably not meaningful. If it is meaningful, it is probably not popular. It works this way: If you see a large crowd gathered around something, they probably have amassed themselves to something that is flashy, charismatic and false. Like a golden calf or something. steve that generalization is just rubbish. it may sometimes be true- but there are frequently very excellent things done for a popular audience and loads of crap, yes pure crap, that’s passed off as ‘meaningful’ only because people don’t want to admit they dont understand nonsense. Even in the event that a publisher jacks up prices for the library market, it must still affect the student and scholar as libraries must use more precious funds per book. 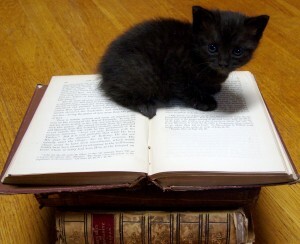 If library budgets are shrinking, too, then that means less titles. And at smaller institutions (like mine), the libraries are already stretching the dollar! As a publisher myself, albeit a small one, I would note that print-on-demand technology is getting better. I currently publish a book that is hardcover with a dust jacket that is POD. As the technology advances the expense per copy of POD drops and the inventory advantages are obvious. I would welcome more POD used for producing limited market books which could be more reasonably priced. Academic writers should boycott academic presses that charge exorbitant prices, ensuring that no one would read their works. I know that there is an allure to being published by such academic presses, but I think it’s outweighed by the negatives. And since some of the publishers like Oxford are using POD, authors should look for other POD shops that give better pricing.